Hello everyone! I decided it might be fun to do a rundown post of all my blushes. I know many of you might hesitate to classify this as a “collection” because I only have 4 blushes, but I think it will be fun to show them off anyway! I only want to keep as many blushes as I actively use, so these four have been well loved. Read on for the descriptions and swatches! The first blush is what I consider my “natural” blush. It is the most neutral color that I own for my skin tone. It looks considerably more pink in the pan than it comes off on the face. It really blends into my face quite seamlessly if lightly applied. 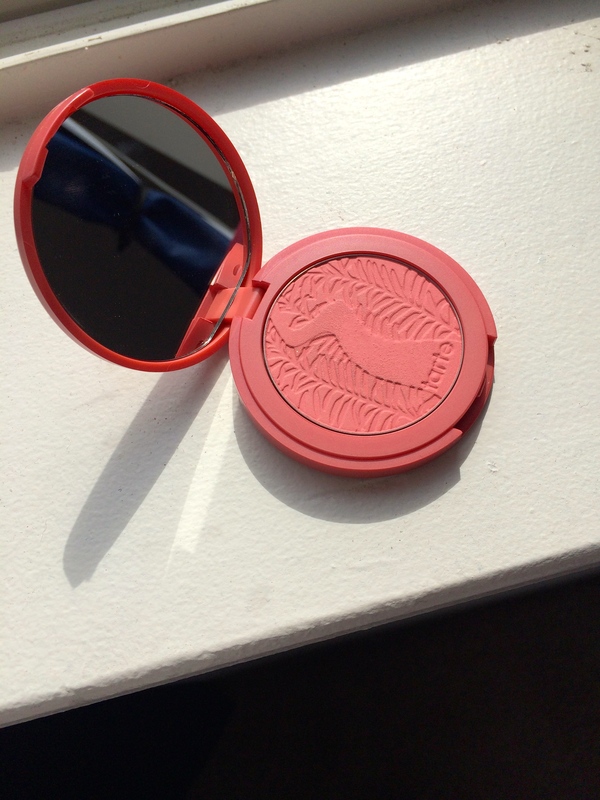 This is a Clinique Blushing Blush Powder Blush in the color Cupid (I know that name has “blush” in it 70 times!). This color or something similar is perfect for those with fair skin tones. I tried to get good swatches of all of these by over-applying, but it is still hard to see the color for some of them. 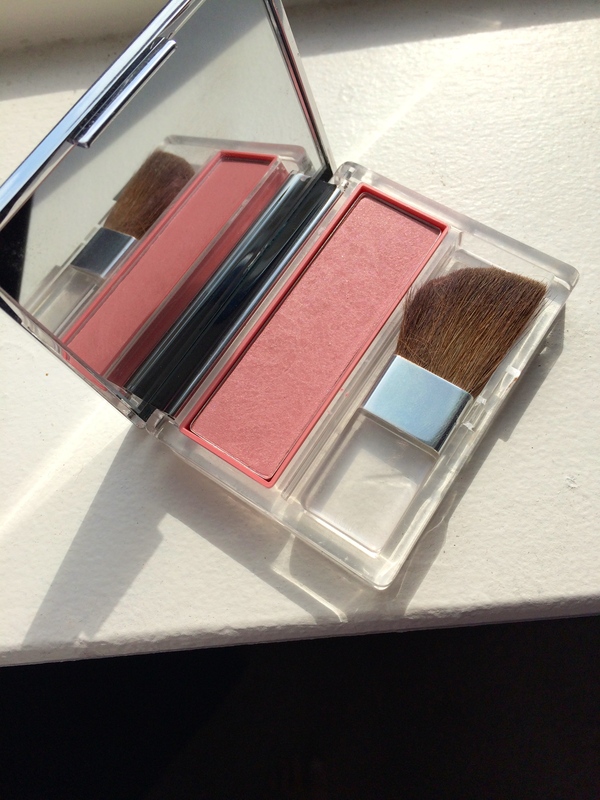 Next up is one of my favorite summer blushes. It is the Tarte Amazonian Clay 12-hour Blush in Blissful. 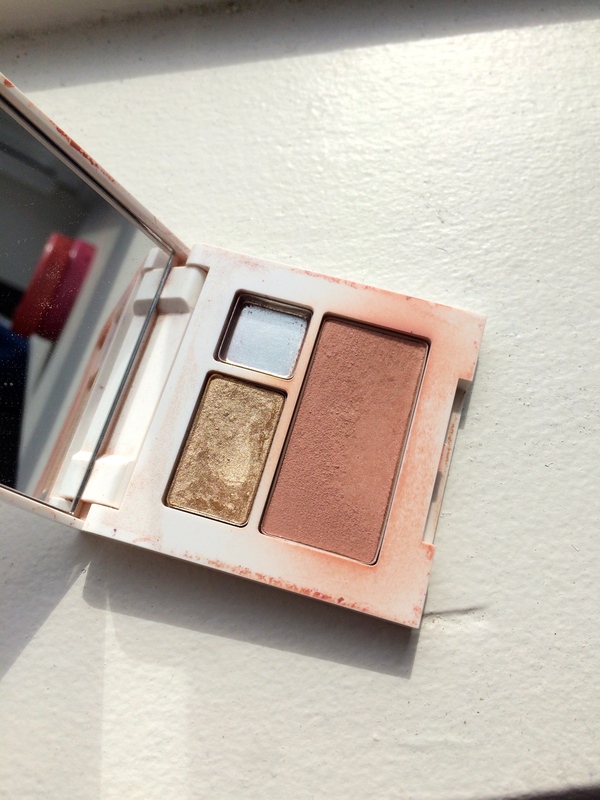 The color is described as a “shimmering warm peach” on the Sephora website. While I hesitate to think it is particularly shimmery, it does have a beautiful peachy color. This color can easily be over-applied so use a gentle hand. It is pretty warm when worn heavily so I recommend it for summer looks on pale skin. If you have a darker skin tone this would likely look beautiful all year round! My third blush is a Clinique Soft-Pressed Powder Blusher in Mocha Pink. The namesake is accurate as this is a bit of a brown-pink in the pan. For me it comes off with almost a red tone on my face. It isn’t crazy looking but it can be overdone really easy on pale skin tones. I really like this for summer as well or a bold night look. I think this color would make a very natural blush for darker skin tones as it acts almost as a bronzer on my skin. 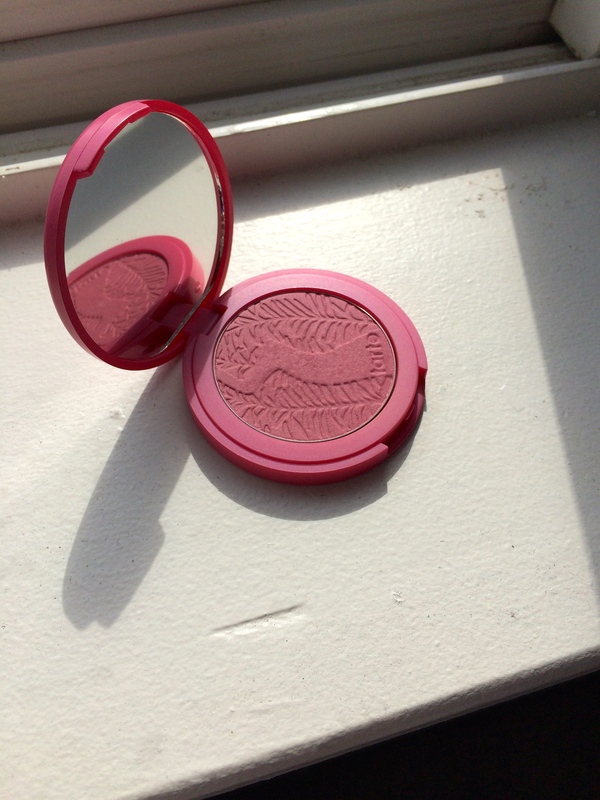 My final (and honestly my favorite) blush is another Tarte Blush in the color Blushing Bride. This is the most gorgeous shade of pinky-plum I have ever seen. I really like it in the fall to go with my purple looks. It is also very opaque so I love to use it for vampy lip looks. It brings life to the face very easily. I think that this color would suit brides beautifully, especially if you have a dark skin tone. There you have it folks! Those are the blushes I use every single day. I hope you liked the tour and perhaps some of these products will find their way into your collections as well. Comment below with some of your favorite blushes! 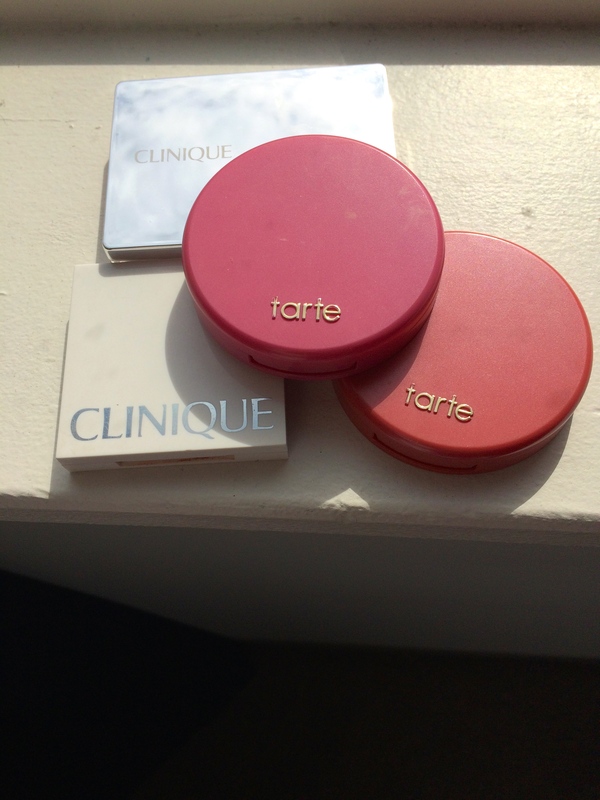 This entry was posted in Collections and tagged blush collection, clinique blush, tarte amazonian clay 12-hour blush. Bookmark the permalink.